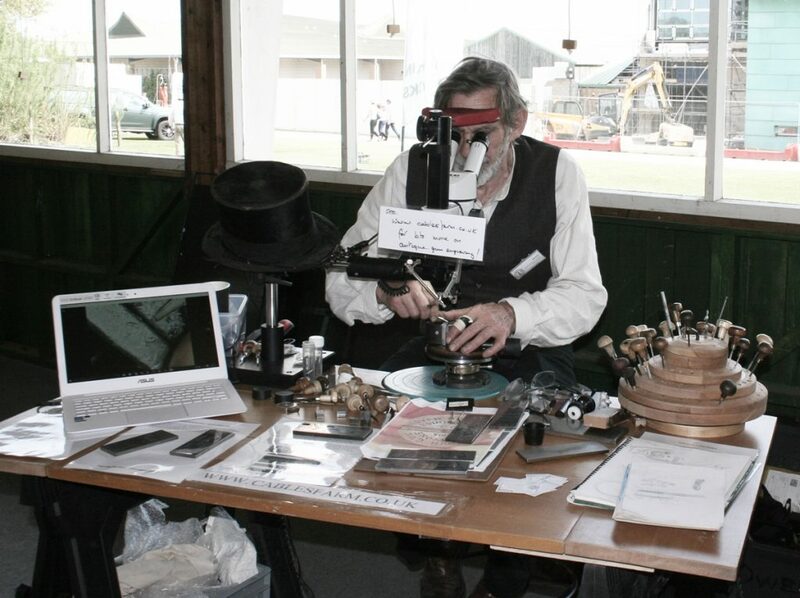 A group of us went up to Harrogate to man the MLAGB ‘have a go with a muzzle loader’ stand and I did an engraving demonstration with my new microscope suitably modified, and a new bench with space to transfer my turntable – it all worked splendidly. Clare took this photo which shows the digital microscope quite well. 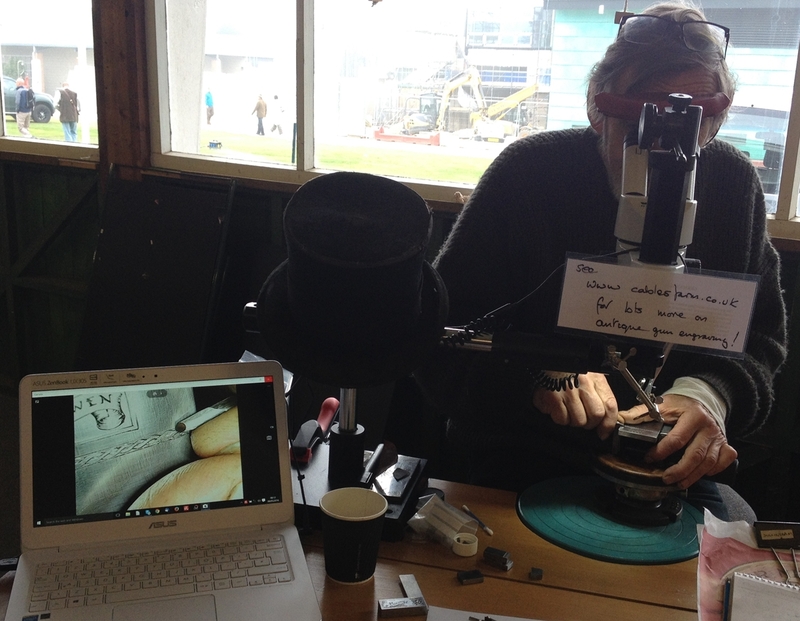 Here I am doing my stuff near the end of the show – you can see the pile of blunt gravers to my right The large notice stuck on the Microscope is a bit unfortunate! Very unusually I managed to stab myself with the graver – see bit of cloth wound round finger and held with self-amalgamating tape – the only things to hand!